On this weeks mission to find DIY Hair Masks and tips and tricks for taking care and repairing your hair, I’ve managed to find some all natural ingredients to add to your shampoo bottles to make it easier to incorporate them into your daily hair and beauty routine. Most of us are caught in the daily struggles of finding time to wash our hair with shampoo 2-3 times before conditioning with a ‘leave in’ conditioner that’s supposed to stay on for 10 minutes. All you really want to do is jump in, get clean and get out to carry on with your very busy days and because we’re all guilty of this our hair suffers for it. 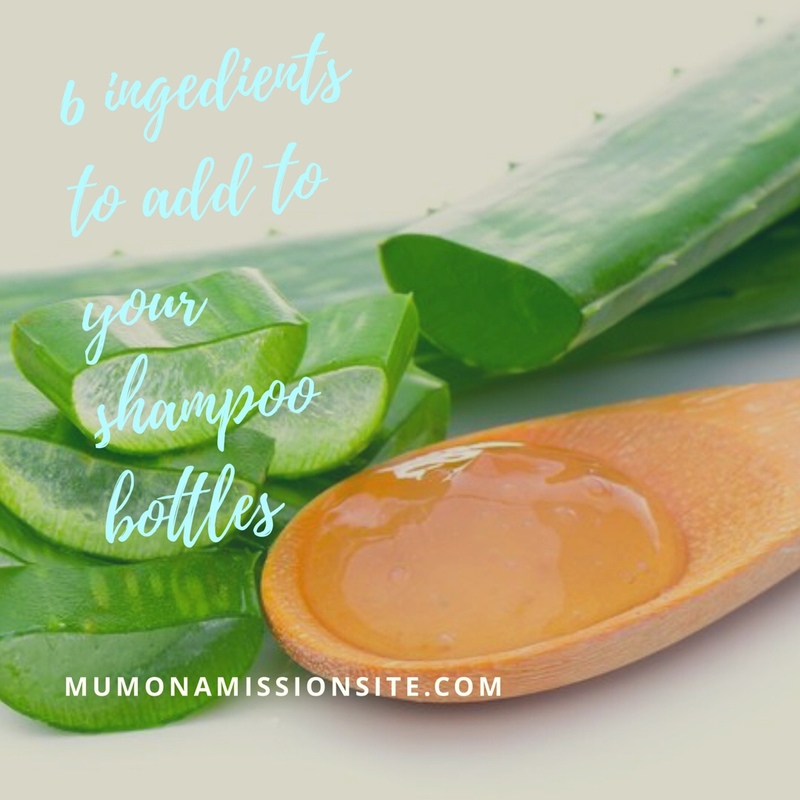 so these 6 natural ingredients are going to help keep your hair in top condition when your in that 10 minute rush, as well as nourishing the scalp preventing it from drying out and keeping hair squeaky clean and shiny. All you need is just a cap full of Rose Water added to your shampoo to sooth a dry, itchy scalp, add shine, and spur on hair growth. Adding Lemon juice will help to strip all product build up left on the hair that’s making your hair look dull and lifeless. (this is why its important to shampoo your hair more than once, the first wash will remove any product and the second wash will clean the hair properly). Raw Honey keeps your scalp healthy killing any bacteria, it restores moisture and always adds shine. Essential oil helps stimulate hair growth, prevents hair fall and can slow greying. It also treats dandruff. Aloe vera cleanses, nourishes, and protects hair from damage. Also treats dandruff, an itchy scalp and promotes hair growth. Amla oil helps to stimulate the scalp and can stop hair fall. It nourishes the hair shaft, adding strength, and cleanses the scalp to prevent dandruff. Feel free to leave your comments below if you find any of these tips helpful or you’ve tried them for yourself! If you fancy something different to read why not check out my pregnancy diaries 29 weeks pregnant 💙 or go to the main menu and click ‘pregnancy diaries’. please note all images were sourced from Google, the products I have linked are also available in different stores and sites. All information was sourced from sites such as Pinterest and Google. Next 4 Summer Cocktails To Make At Home.